It is always challenging to try to find crafts for boys. 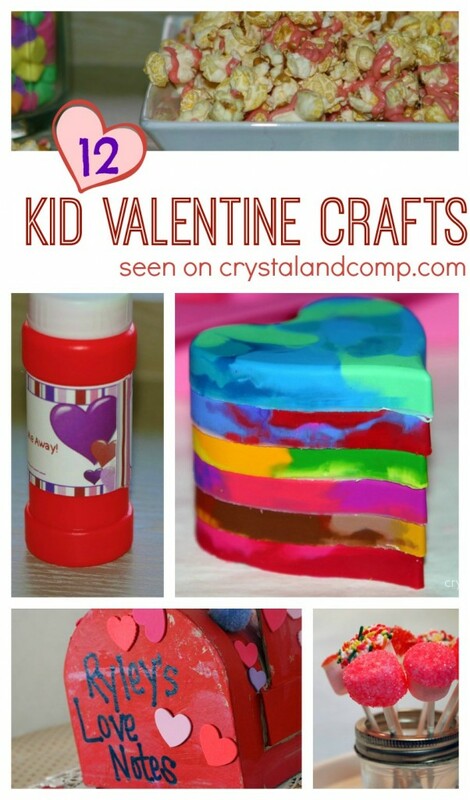 Especially kid Valentine crafts! Honestly, it is not an easy task. I couldn’t really find what I was looking for so I decided to make one instead. I like crafting, though I don’t get the time to do it too often anymore. 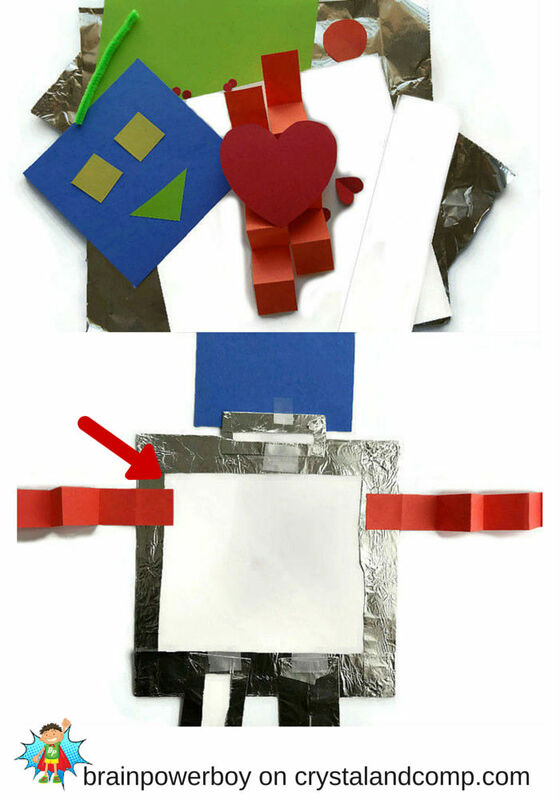 I did, however, find a bit of time to make this Robot Valentine Craft for Boys. I have a website about raising boys who love to learn and I share activities for boys that are fun and include a learning twist to them. 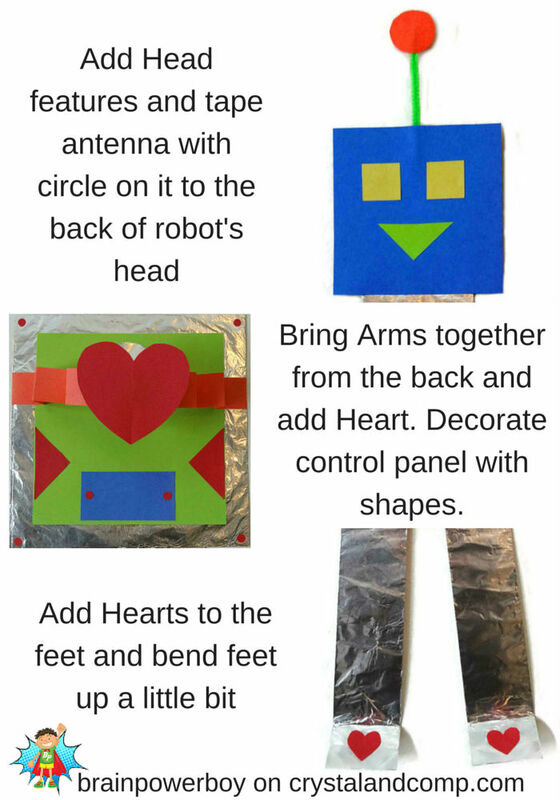 This cute robot is fun to make and your kids will learn about shapes while making him. It looks like there are a lot of directions here but this is super easy to make. You can make your robot whatever size you like. Ours is around 22 inches long and was made to hang on the wall. With younger boys I like to work big as it is easier for their little hands to position bigger pieces. I will give you approximate dimensions of the pieces we used to make our robot. Use the picture as a guide to make a robot your little guy would enjoy. Cardstock Square. 7 ½ X 7 ½ inches. Cover in aluminum foil. I laid the square on a larger square (9-10 inch) of aluminum foil, folded it over and glued the foil to the back of the cardstock. 3 X 1 inch small rectangle for the neck. Cover in aluminum foil. 2 – 7 inch X 1 ¾ inch legs. Cover in aluminum foil. 1 ½ inch triangle for the mouth (we used green) Have your boy cut a square in half to make the triangle. Make the arms zigzag by folding them back and forth. This is what makes the heart stand out from the body. 3 inch red construction paper heart and 2 – small hearts for the feet. 4 red dots that I used a paper punch to make and used for the rivets on the robot. Various colored construction paper shapes for decorating the control panel. Most of the construction is pretty self-explanatory, just attach the pieces as shown in the photos, but I will share a few tips to make things go easier. I used glue and tape to attach the body parts together so it would hold better. Tape the pipe cleaner to the back of the head and tape the circle to the pipe cleaner. Using glue doesn’t work well. Gluing on aluminum foil works just fine but can be a little slippery. One thing you should do is put the piece on, press straight down and let it sit for a bit without moving it. Attaching the arms: I taped and glued the arms to the back of the robot (see arrow in image above) and then wrapped them to the front and glued down one zigzag to the front of the robot. This is what makes the arms stand up nicely. You then connect the arms together in the center and attach the heart in the middle. It stands out and is bouncy. Cute! You can talk about the shapes as you are making this together if you like. I would mention in passing that I am adding squares for the eyes but I never “taught” shapes as it is something kids are naturally drawn to and they tend to learn most of them on their own. I hope you enjoy making some fun robots. 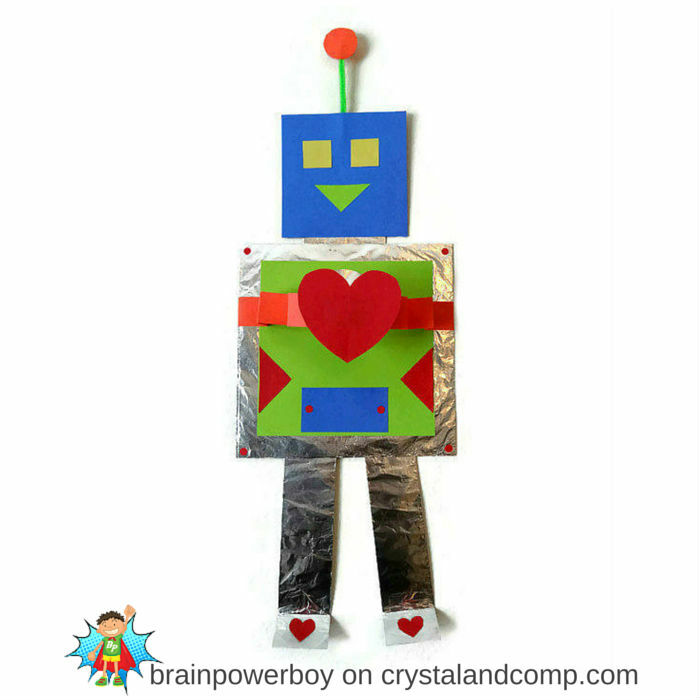 I have some DIY and Printable Valentines for Boys on Brain Power Boy. 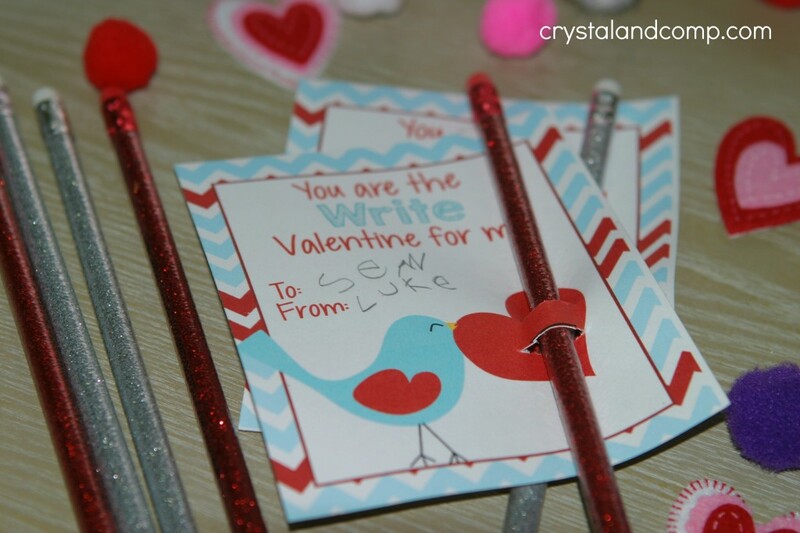 Crystal shared this 12 Kid Valentine Crafts post that has a lot of neat ideas. If your boy likes to read, don’t miss Funny Valentine Books for Boys. 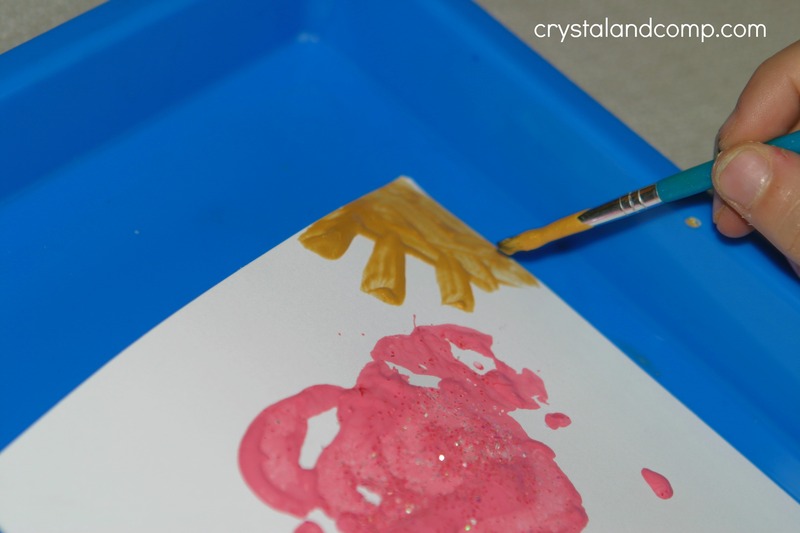 and Crystal has a whole bunch of other Valentine Crafts on her site as well. I don’t know about your kids, but my children love to do arts and crafts. I doesn’t hurt that we homeschool, so we are home all day and always looking for more fun activities to create during the day. 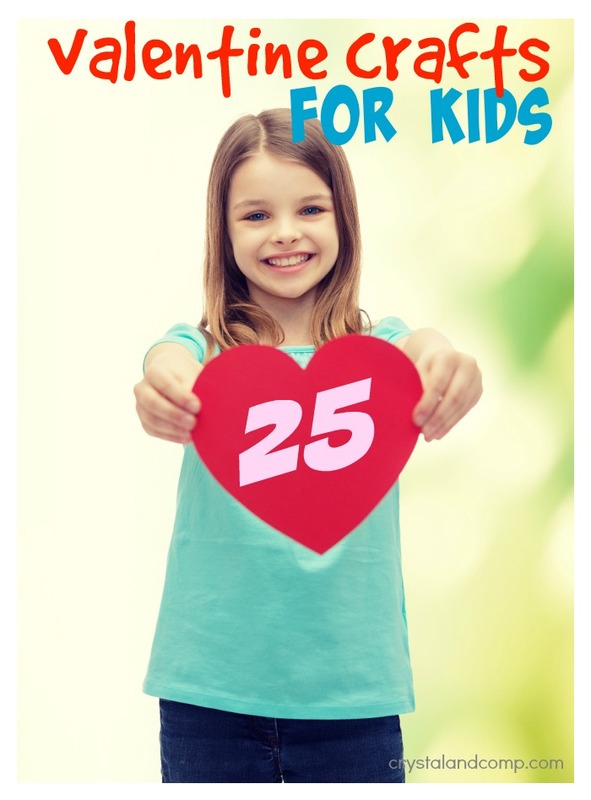 If you are on the hunt for kid Valentine crafts, we have pulled together another collection of 25 amazing ideas! 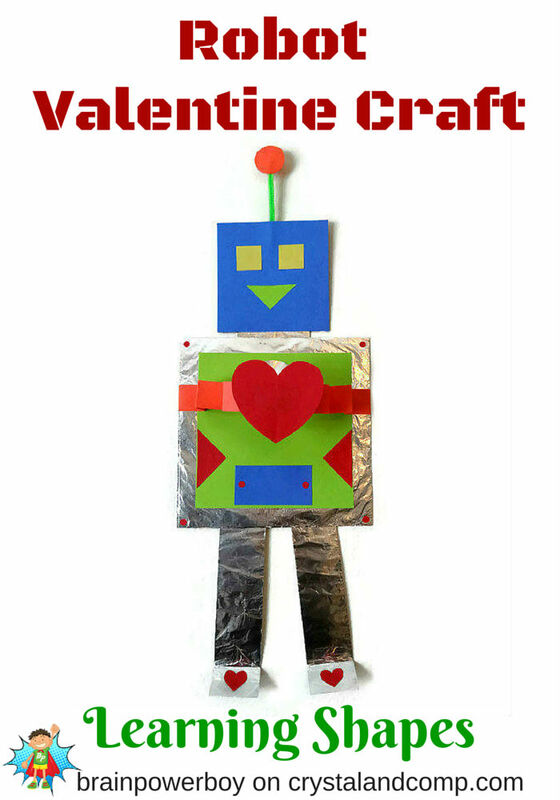 While you’re here, check out all of my Valentine crafts. We have tons of things to keep you and your little one busy.And, what I love about this collection is it’s great for many different ages and an excellent way to spend time together as a family. 10. Heart Cone Tree from I Gotta Create! 15. Puffy Hearts from Scrumdilly-Do! 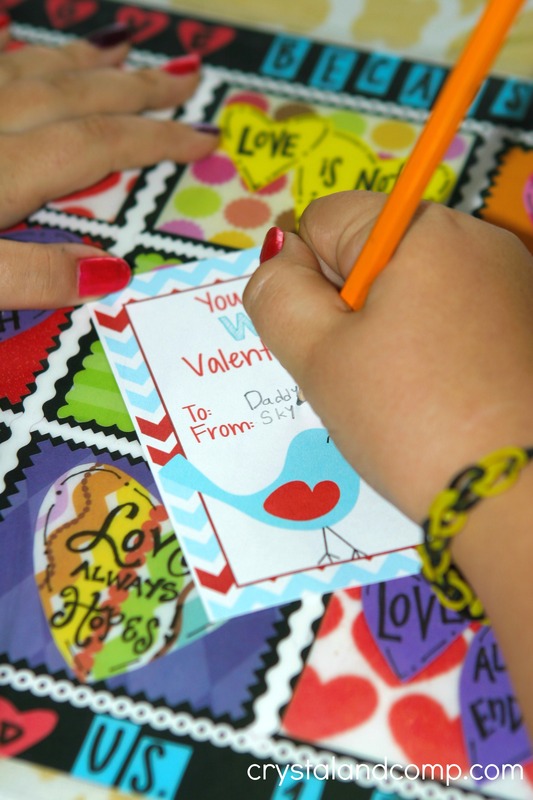 Which valentine crafts are you most excited to create with your kiddos this year? 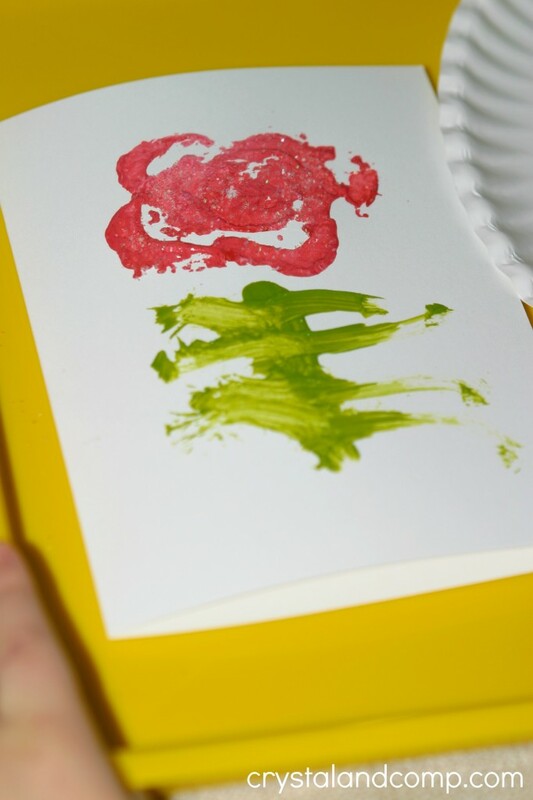 We are having so much fun creating kid Valentine crafts. If you are looking for free printable Valentine’s for your child to give to friends and family I have the perfect idea for you. And this one holds a cute little pencil which you can totally grab at the Dollar Spot at Target or at the dollar store. There are four Valentine cards to each sheet to help save on paper. I grabbed my festive Valentine pencils at Target in the dollar bins. 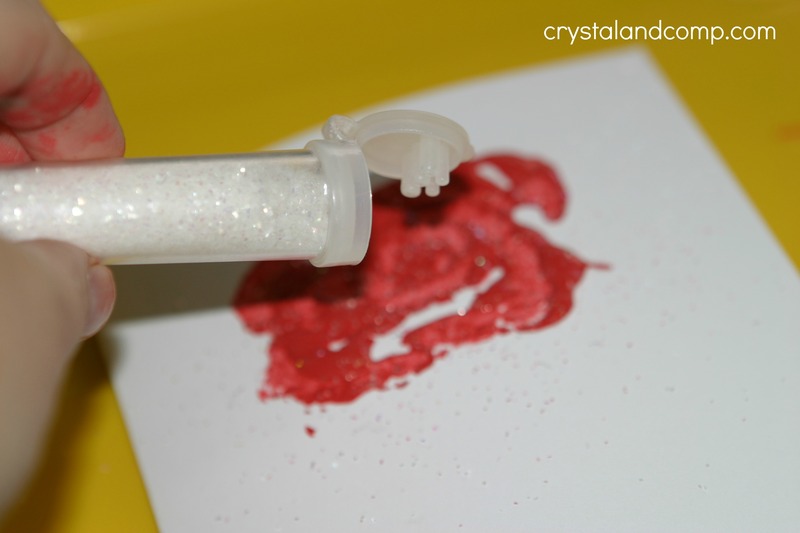 I loved the sparkly glitter! 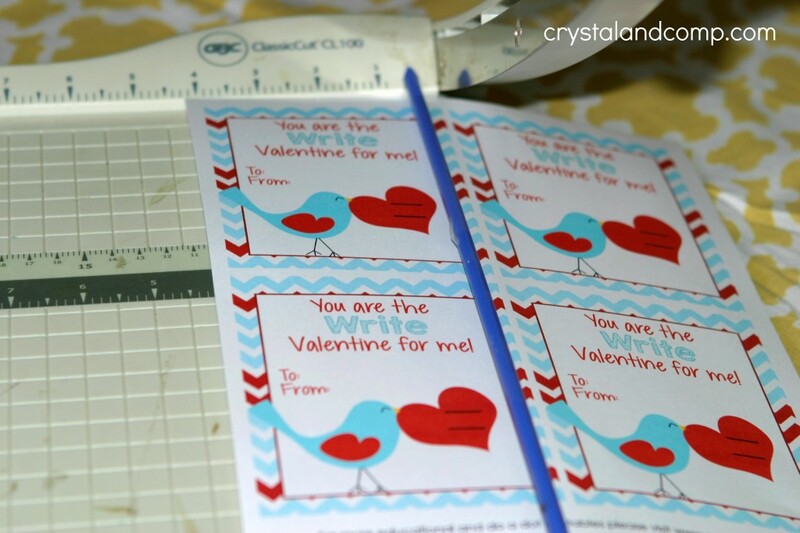 Use the paper cutter or your scissors to cut out the cards. Let the kids write who the cards are to and from. Doesn’t Skylar have gorgeous nails? Now this job is for an adult. Use the X-Acto knife to cut slits for the pencils. There are two black lines where you need to cut the lines. 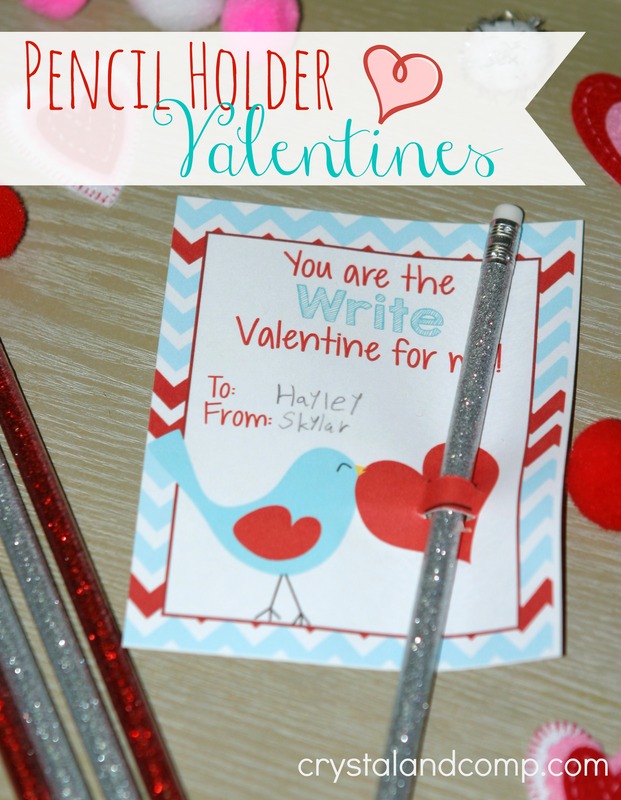 Slide the pencil through the slits and you have a simple, affordable and perfect Valentine card to handout at school or Mother’s Day Out! We’re going to have a Homeschool Valentine party and exchange with friends. I plan on printing some of these! These are perfect for parents who are on the hunt for non-candy Valentines! Valentine’s Day will be here before we know it. 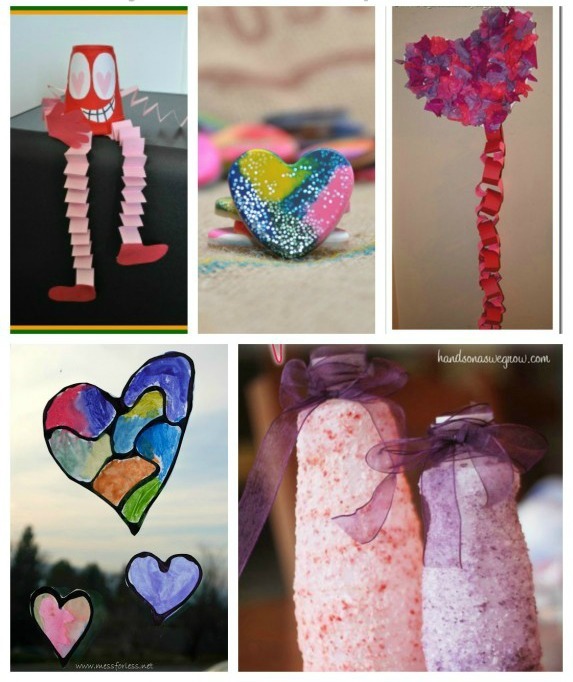 Are you looking for kid Valentine crafts that you and your little one can create together? I have a list of 12 ideas. 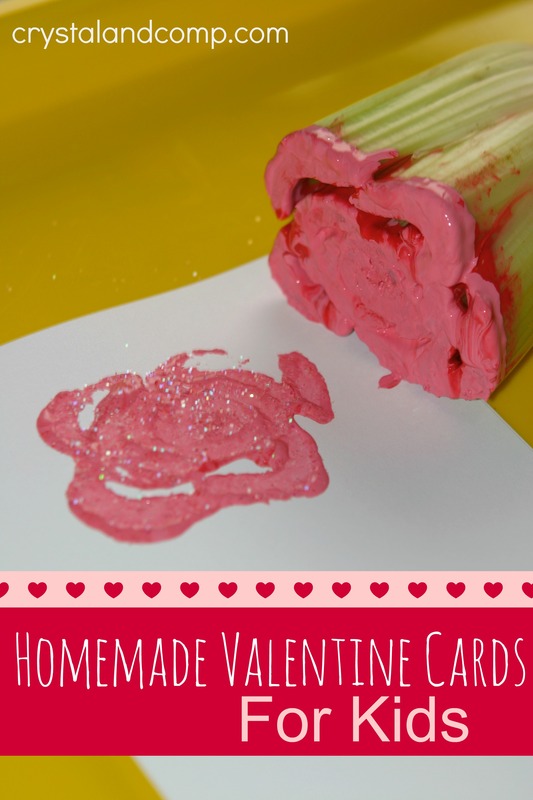 Many of these have crafts include a free printable which make for perfect Valentine card exchange ideas at school and preschool. 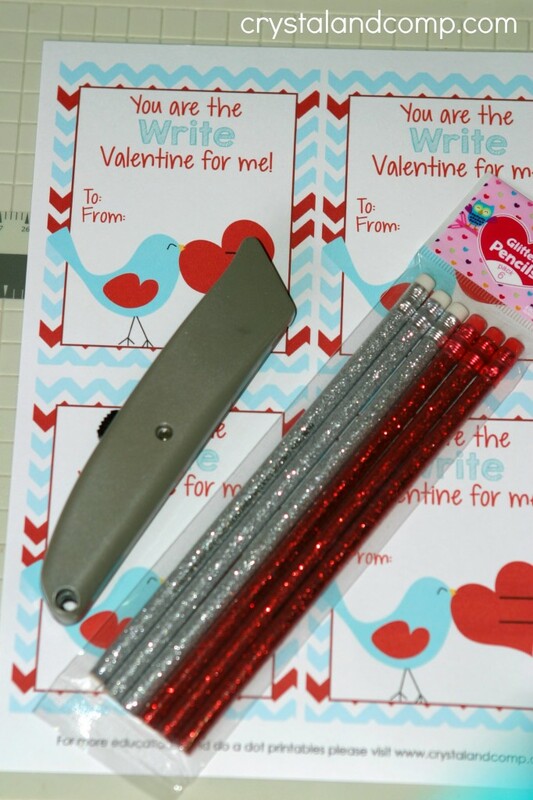 These are adorable for homeschool Valentine parties too! 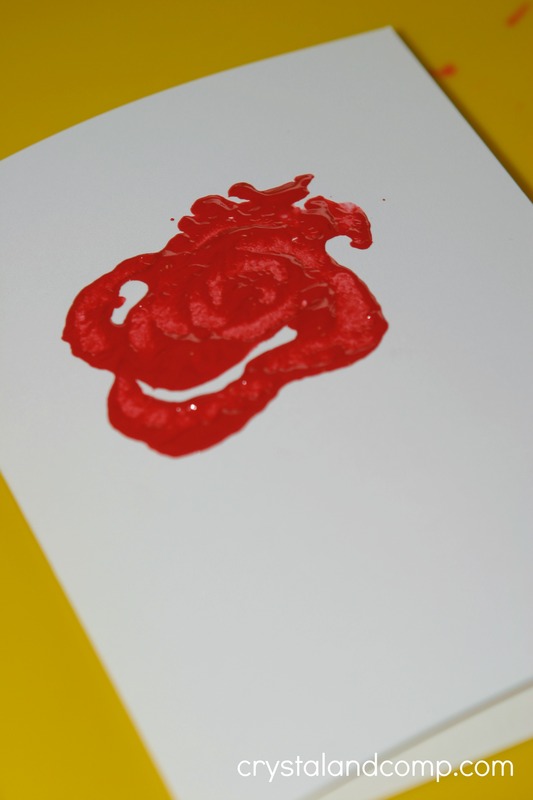 Heart Crayon Valentines– this free printable makes the cutest valentine goodie for classmates. Blow Me Away Bubbles Printable– what child does not love bubbles? These are perfect preschool Valentines! 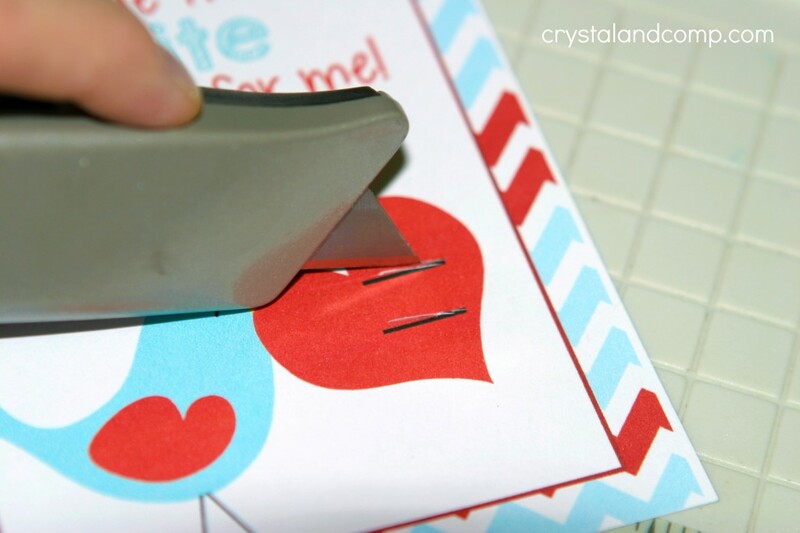 Valentine Mailboxes for Kids– these are so precious and you will have fun creating them together. I am a Sucker for You– add a dum-dum sucker and you have the cutest Valentine card. Heart Shaped Soap– use this easy tutorial to make heart shaped soap for your Valentine. Free printable for gift giving too! 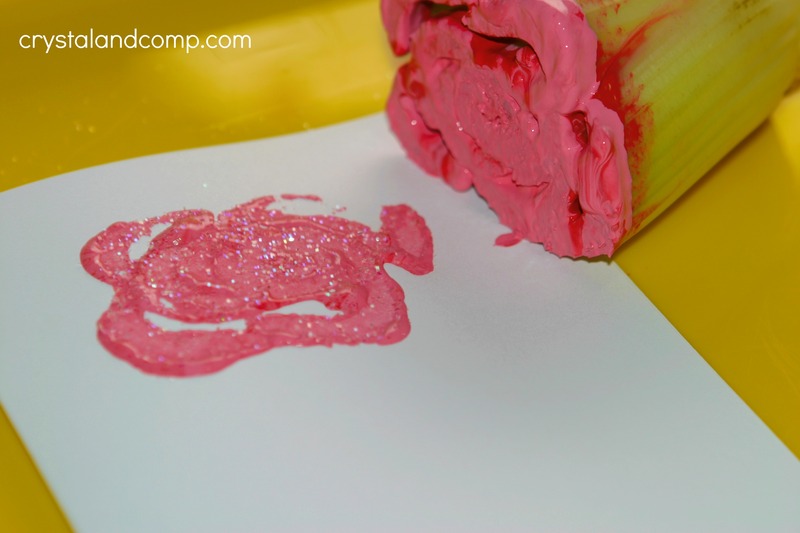 Cupid Poo– get Valentine colored M&M’s for this fun Valentine craft. Valentine Spa Sock Cupcakes– these make the perfect teacher gift. Valentine Marshmallow Pops– what kids does not love marshmallows? Have fun creating these pops together. Valentine Bark– make this delicious pink and milk chocolate bark and decorate it with candy heart. Then, use the printable to give it as gifts. Valentine Popcorn– melt pink candy wafers to drizzle over popcorn for a fun treat. This is perfect for snacks, school parties and gifts! Mod Podge Vase– give your teacher or special love flowers in a homemade crafted vase. Kids will love helping you create this. Decorate with Heart Candy– this simple craft makes the perfect center piece for your Valentine party or dinner table. On the hunt for the perfect Valentine dessert idea? 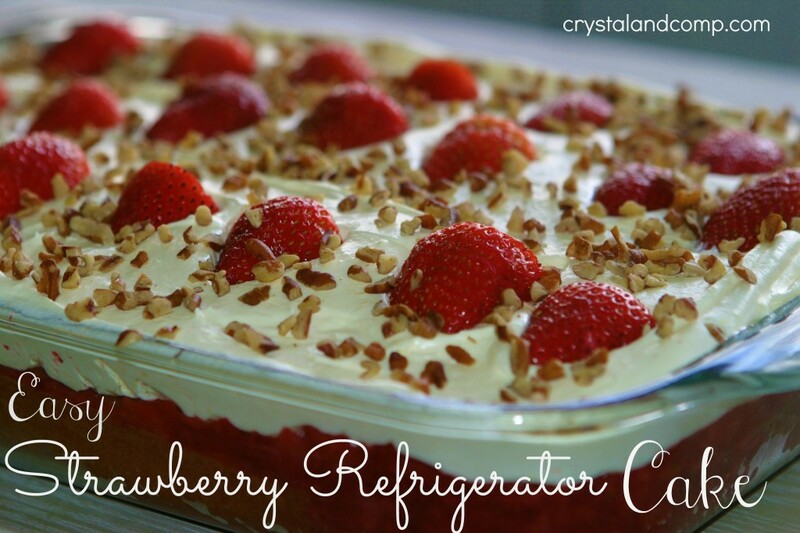 This Strawberry Refrigerator Cake has gone viral on Facebook and has been viewed 27,000 times TODAY alone!! This is a must have sweet treat for your Valentine dinner! Homemade Valentine cards are so fun to make. Have you ever tried it? 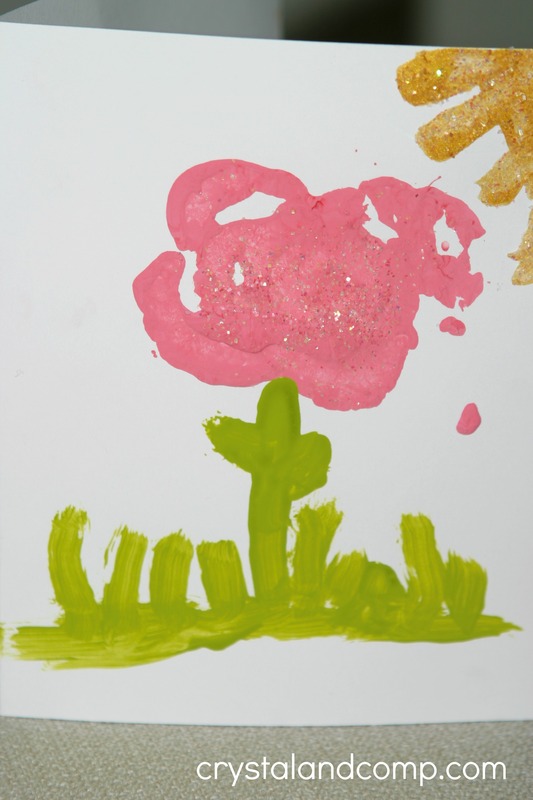 You can create them at any age and they make the perfect keepsakes and gifts. 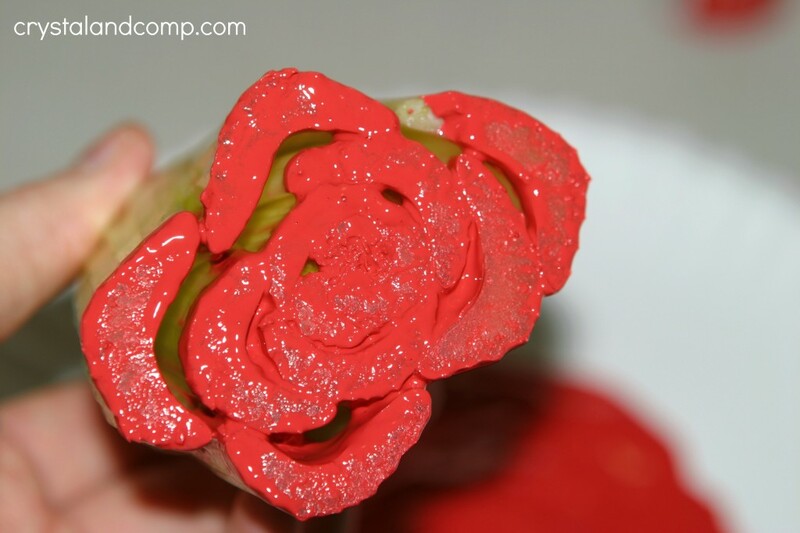 I adore the idea of using celery as a rose flower stamp. Have you ever seen this done? It is so neat. I am going to show you how to make these easy homemade cards. You likely will already have everything on hand- I know I did. I even had celery for an upcoming soup recipe. Score! My boys are so excited to mail these to grandparents, cousins and other family and friends. Your kids will love them too. 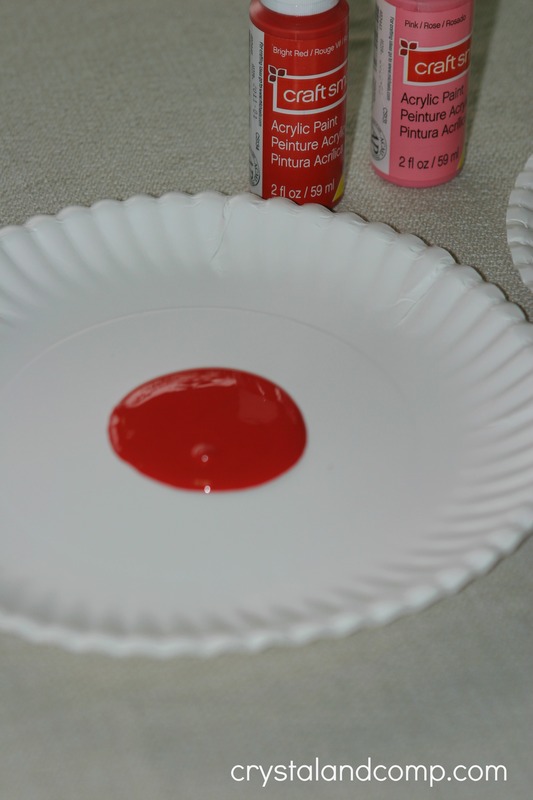 Squirt your paint onto paper plates. Grab your celery. This is what it will look like when you chop the end off of it. Have you ever noticed it looks just like a flower? How neat is that? 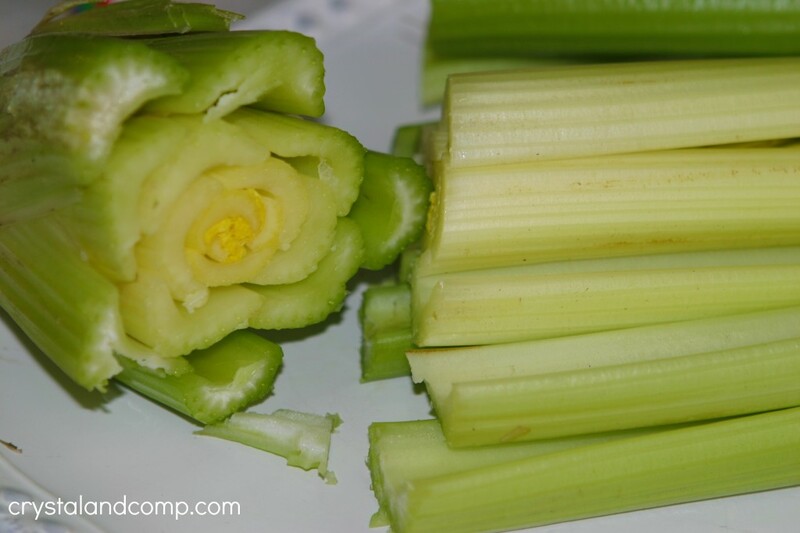 Reserve the celery stalks for cooking. Dip the celery rose into the paint. Make sure it is evenly coated with paint. Take a sheet of card stock folded in half to look like a greeting card, or use these blank greeting cards. 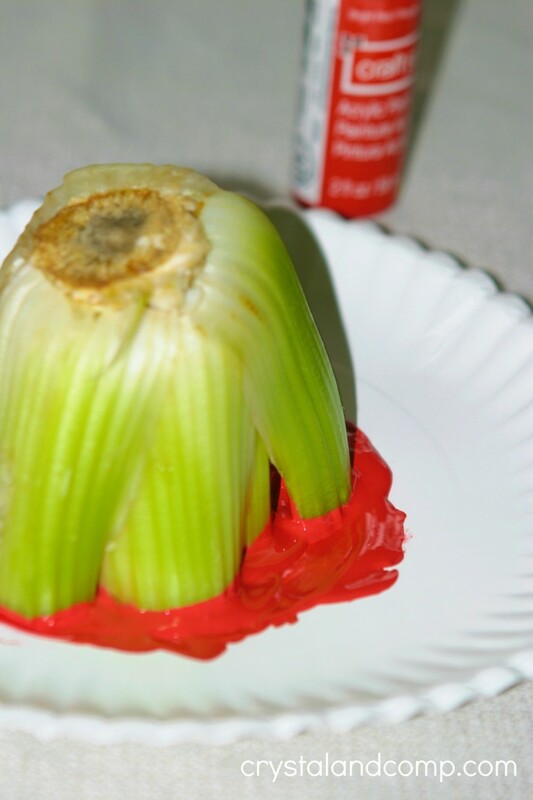 Stamp the card with the celery. And you have a rose! We alternated colors between pink and red. Some of the colors ran together and we loved it even more! 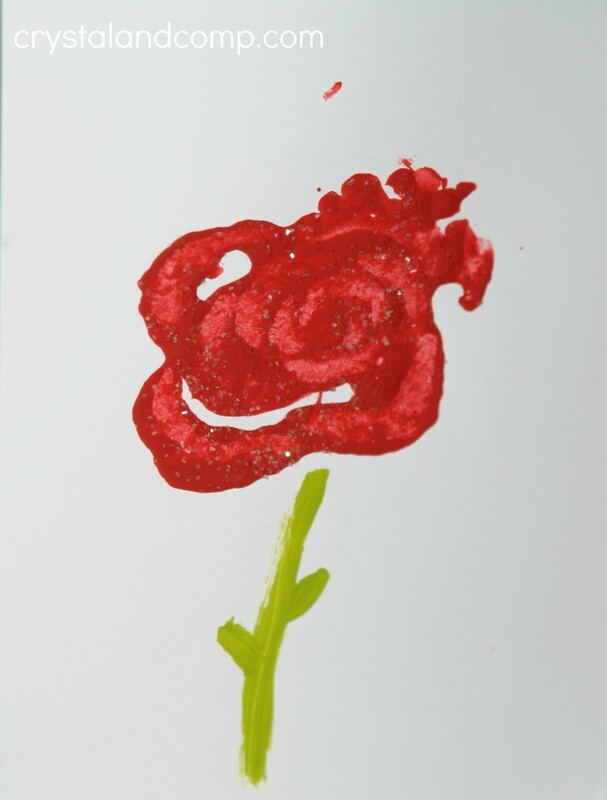 While the paint is still wet, sprinkle the rose with glitter or salt. 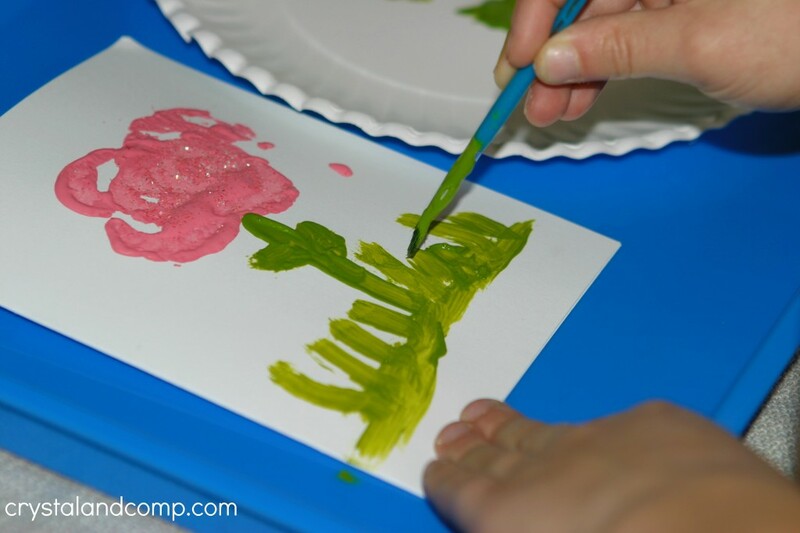 Use the paint brush to draw a stem on the rose. I made little leaves too. 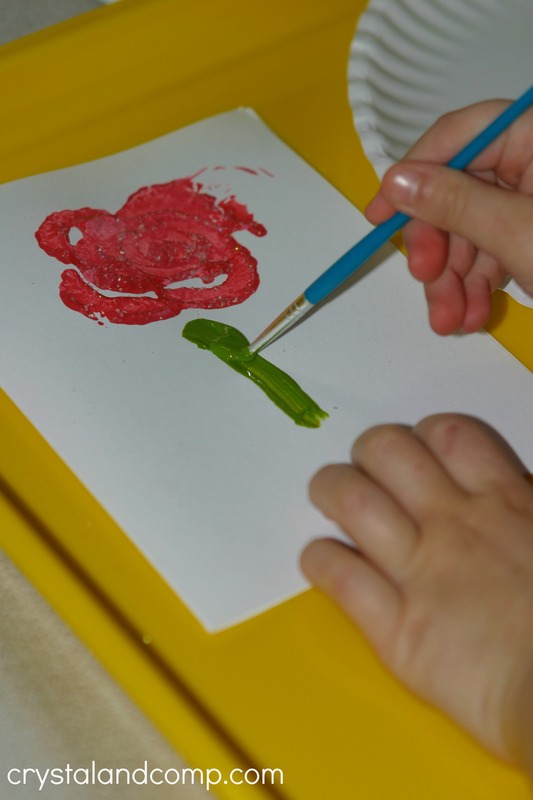 Matthew had fun painting his stems and leaves. He said he likes big, big leaves! Luke wanted to add grass to his. Totally his idea and I thought it was great. He also wanted to add a sun- and I just happened to have some gold acrylic paint. We sprinkled glitter on the sun too. 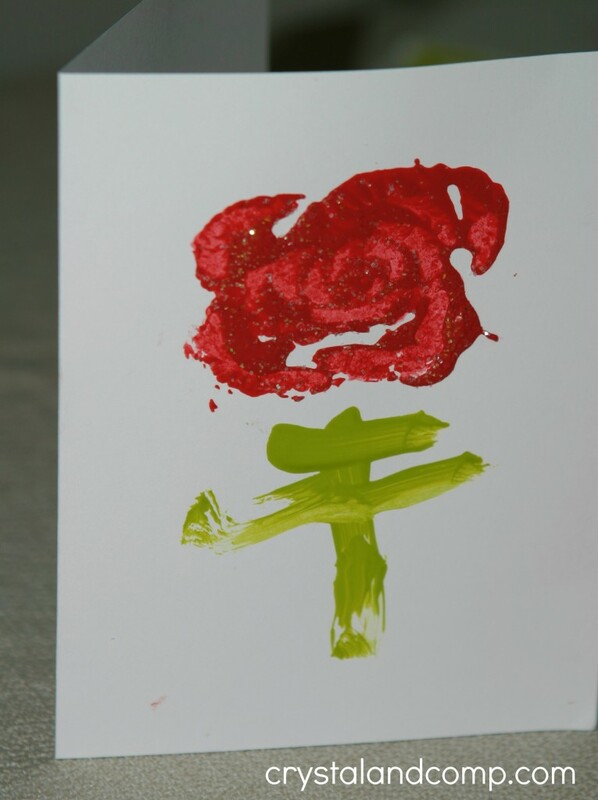 We stamped the back of the card with a handmade by stamp. 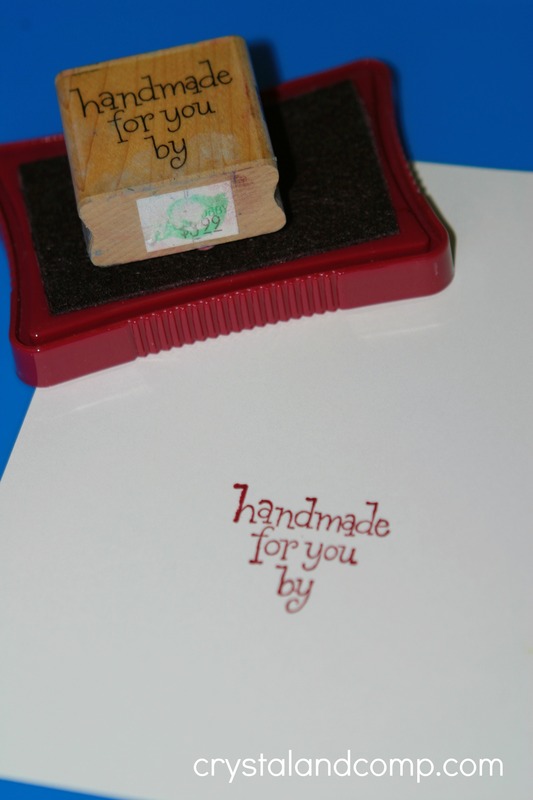 You can certainly free hand this, but I already have the stamp and I love the way it looks. Then the boys can just write their name under it. These are perfect for giving to family and friends for Valentine’s Day. Fill out the inside with a sweet message or drawing. The hard part is deciding who gets each one.